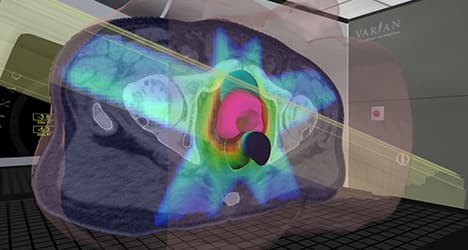 PEARL offers an innovative way to explain radiation therapy to your patients, their families and to referring physicians. 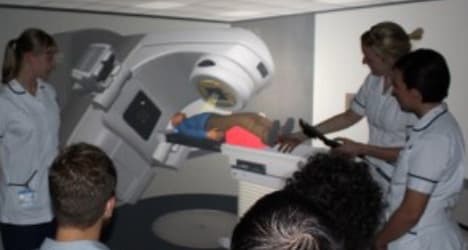 A highly visual format to view the patient on the Linac couch, look inside the patient, visualise organs at risk and see the treatment delivery. PEARL reduces patient anxiety and aids compliance with treatment protocols offering the potential for service efficiency. PEARL seamlessly integrates into the existing patient information chain at different points to offer maximum return on investment. 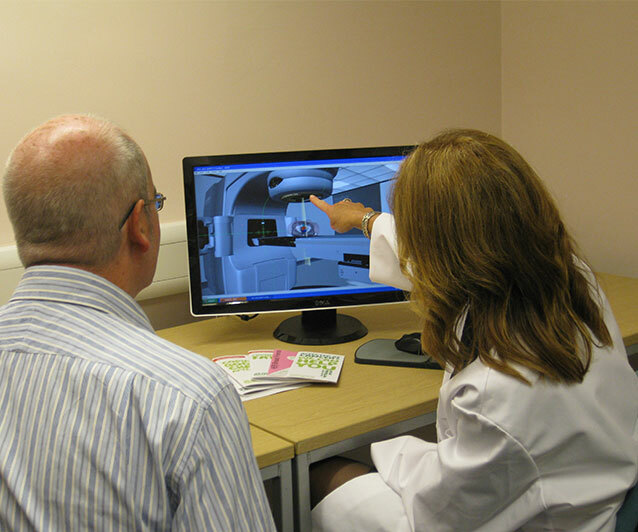 Used prior to scanning, before treatment commences or during treatment to explain patient treatments. PEARL is applicable for patient information sessions in groups or one on one with individual patients. 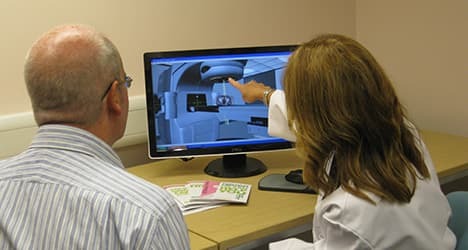 The patient’s own treatment plan can be used if desired. PEARL fits into the Vertual product family as a cost effective option specifically for patient information. PEARL enhances the information that you can provide, bringing real benefits for you and your patients. To view the latest video of PEARL click here.